I came down with a bout of 'Icantpaintitus' recently - I think it started when I murdered one painting and another committed suicide! I mean - how insulting! I didn't think it was bad at all, but that darned Rubber Ducky threw itself right off the shelf! Chuh! 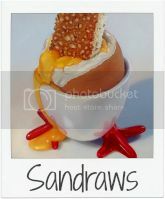 Sandra, this is fabulous! Have you ever painted marbles before or have I imagined that? I'll look forward to seeing a larger version - I really love this piece. Have you thought about selling on artfinder or artgallery.co.uk - I think both are pretty good platforms and you should definitely get your work out there more! You have a good memory! I Painted one a very long time ago in Acrylics! 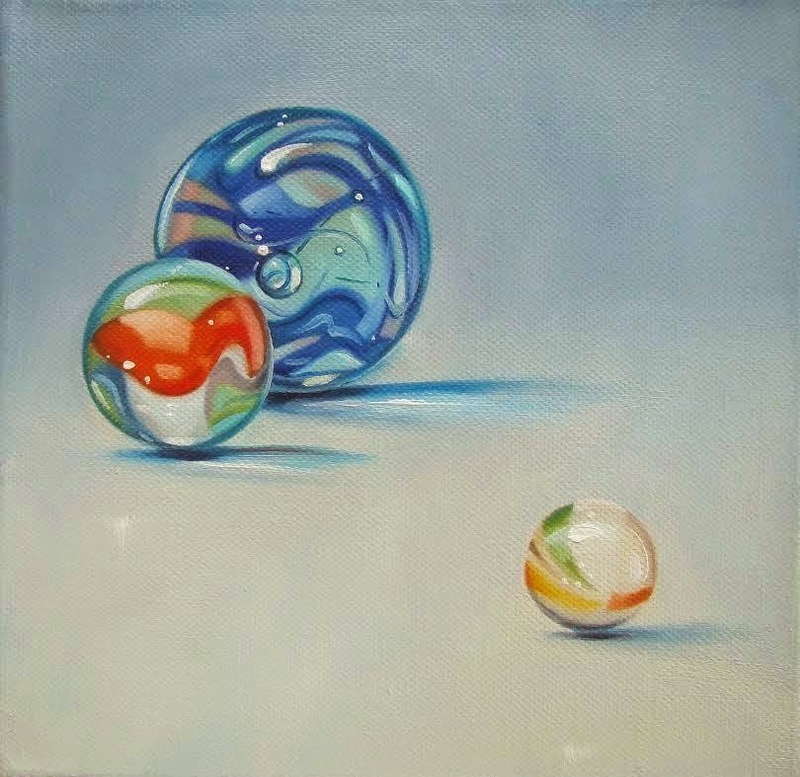 But I'd like to do a whole series of marbles in oils. In fact, I have one 18" x 22" marble painting on the go as we speak... but I want to do a few small ones too. I love painting them! 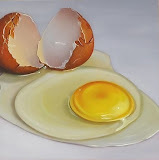 Nice job, I love marbles, well I love glass and the look of it, but I don't paint so I will just admire your painting. Fantastic! A beautiful painting...I need to see more of these Sandra! Encore une merveilleuse peinture, chère Sandra ! J'adore également la série des petits poissons. Happy to know that you have overcome your attack of "icantpaintthis" :) These marbles are so simple and beautiful ... delightful! Looking forward to the more complex works. Thank you for your great compliment on the farrier/horse painting! !